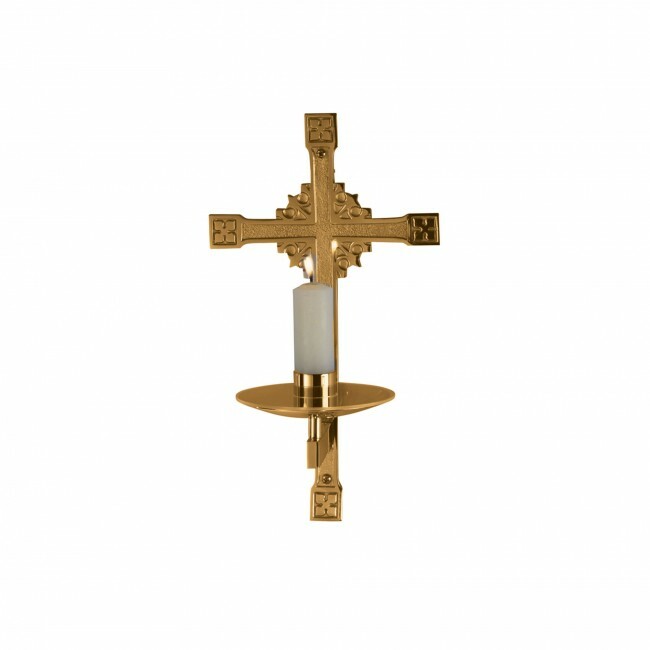 Consecration Candle Holder made of either bronze or brass, available in satin or high polish finish, oven baked for durability. Supplied with 1 &#189" socket with backplate 9" x 16". Please specify metal and finish when ordering.